Suspected Fulani herdsmen and Jukun militia yesterday reportedly killed 25 people at Vaase and Jootar communities in Ukum Local Government Area of Benue State. The attackers reportedly made a surprise incursion into the area about 6a.m. and started shooting sporadically at the GRA side as hordes of people scampered for safety. Surprisingly, the attackers operated without intervention from security men stationed at Kente, which is about three kilometres to Vaase. An indigene of Ukum, Mr. Jeremiah Iorngaem, said the attackers also set ablaze over 100 houses while many people had deserted their homes. However, the Security Adviser to the state governor, Lt.-Col. Paul Hemba (rtd), said only 10 people were killed. According to him, the invaders also destroyed property worth billions of naira. 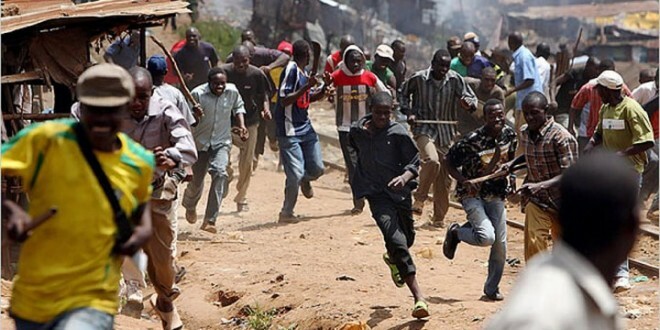 He said: “I received that report early this morning (yesterday) that there was a dawn attack by men suspected to be herdsmen at Vaase area of Ukum Local Government Area of Benue State. Apart from the burning of houses, I also received a report that 10 people were killed. Hemba said he had been to Taraba State three times, at the instance of Governor Samuel Ortom, since the outbreak of the crisis, especially at Kente, a settlement dominated by both Jukun and Tiv people among other stakeholders to find ways of ending the conflict. According to him, a communiqué was issued but after the peace meeting, pockets of killings continued unabated in neighbouring villages. He said traditional rulers from the Benue side led by Chief Abu King Shuluwa and others from the Jukun side were at the meeting, but expressed worry that the resolution at the meeting was not communicated to the youth from the Jukun side hence the continued attacks. The Security Adviser said as the crisis persists a meeting was held from the Tiv side in Ukum during which the youth were told to be calm as talks were on between Taraba and Benue to end the killing and attacks. He said relative peace had been restored in the troubled area following the massive deployment of security men. However, it was learnt that there was exodus of residents, including women and children, out of the area to areas they considered to be safe.